In the unpredictable, challenging startup world, it’s crucial to have not just an efficient team but also a steadfast ally that won’t abandon you when the going gets really tough. If that happens to be the love of your life, you’re pretty lucky because love and business don’t always make for a perfect match. Ben of Scrambled Eggs Pte. 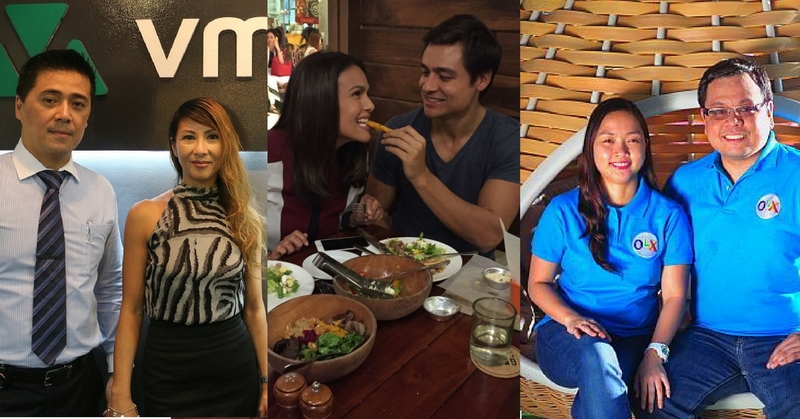 Ltd, a company that creates applications; and Iza, a Filipina actress, have always loved eating out. However, their major problem when looking for their next foodie date destination was the lack of a comprehensive restaurant directory in Manila. Sure, they’ve tried searching away on Google, but considering how poor the internet connection in the country is, that got very frustrating. Ben, seeing an opportunity to solve this problem, came up with an app called Booky, which allows users to search for dining areas offline. 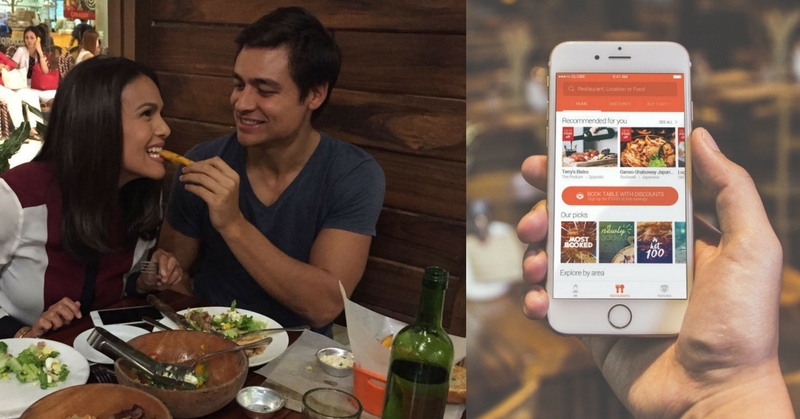 It works like a phonebook of restaurants and provides 13,000 lists of restaurants in its directory, 8,000 menus from different brands, list of new ones opening, the top ten list of the bests by area, and free discounts or dessert for those who will book a table through SMS. From playing a huge part in inspiring Ben to come up with Booky, Iza, through her influence as a celebrity, is also a force with her now-fiance when it comes to marketing the application. The app is free both for IOS and Android users. Adobo has always been the food that reminds Meredith and Jerome of home. Back during their days in Harvard Business School, they realized that most of their time together and with fellow classmates were spent eating chicken adobo. Their shared experience of adobo sparked the idea of a food business that will showcase various permutations of the popular Filipino dish in the local fast food scene amassed by foreign food concepts. In 2010, they decided to open Adobo Connection, a restaurant, and franchise that serves different versions of adobo alongside Filipino dishes. And since both of them were already immersed in the food industry back then, their experience helped make the creation of the brand quite a breeze. 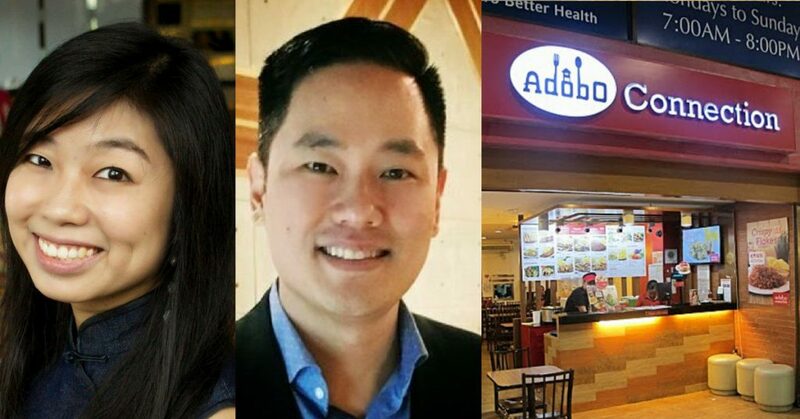 Now, Adobo Connection is operating with over 50 branches nationwide, has successfully launched its outlet in California, USA, and is still continuing to expand. 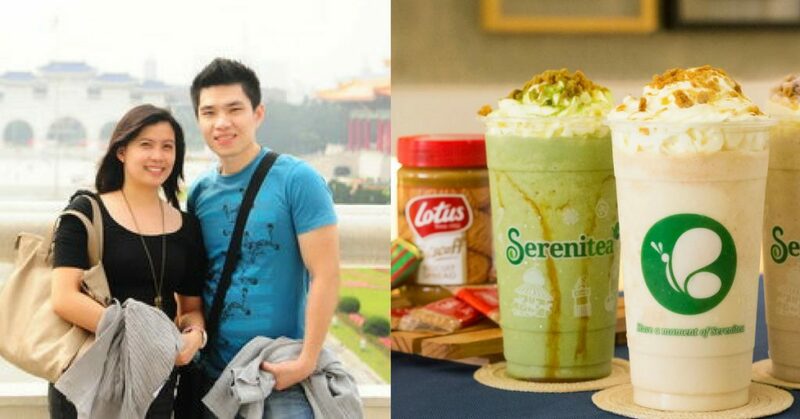 Juliet Herrera-Chen was only 23 years old when she and her husband Peter started their bubble tea business, Serenitea. Peter was thinking of ways for them to earn their own income as a young couple without having to rely on their parents. They flew to Taiwan to look for a business idea they could possibly bring back to the Philippines. The Chens decided on venturing into the bubble tea industry after seeing how the drink was such a huge hit in Taiwan. With a capital of Php 800,000 borrowed from their parents, Juliet and Peter became one of the pioneers of bringing in bubble tea to the country. Despite the abundance of milk tea shops around Metro Manila, Serenitea was able to differentiate their brand by using top quality imported tea leaves. They were also the first brand to use the teaspresso machine and introduced different sugar levels and choice of sinkers. Serenitea opened its first outlet in Little Baguio, San Juan in Metro Manila on December 19, 2008. After a few years, it opened three more branches. Now, it is one of the most known tea shops in the Philippines. Ralph and Zos Santos are the founders of VMoney, a FinTech company that enables businesses and consumers to access, send, and receive money digitally. In 2013, VMoney was launched with the goal of giving services to the underserved or poor families who do not have any access to banks or financial institutions. One of its features is its cheap transaction fees compared to traditional services like payment companies, banks, and wiring services. 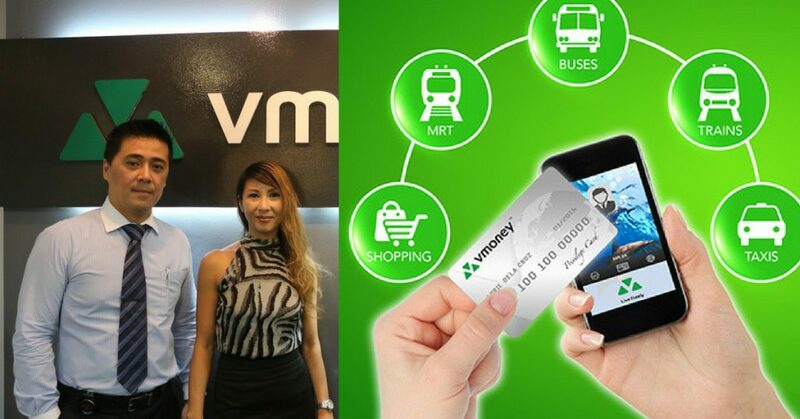 VMoney also aims to empower the Philippines’ emerging middle class by leveraging technology to increase financial assistance for those who are on the lower end of this social class. It also offers a more convenient way of sending money through its application which can be used and managed real-time—anytime and anywhere. Through VMoney, cash can be extended to merchants, enterprises, educational institutions, costs, and transportation providers as well. Rodrigo Escobar and Andy Wong, graduates of Business Management and Integrated Marketing Communications courses, respectively, started out in the corporate world. However, after years of working and dealing with business people, both of them realized that they wanted their own business where they can apply their learnings from their former day jobs. 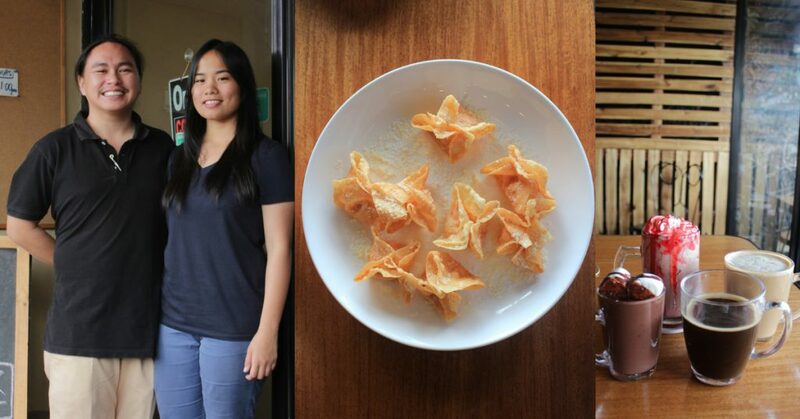 Since both of them are cafe enthusiasts, they decided to open their own—Sulok Cafe, a creative cafe that offers different types of cuisine like Italian, American, and modern Filipino. After just more than a year, the cafe is already becoming known for its unique dishes like malunggay-based pasta and pizzas and strong coffee made from local authentic coffee beans. Couple RJ and Arianne David wanted to help fellow Filipinos make money out of items sitting around in their homes. And so in 2006, they set up an experimental portal in order to decipher what commodities Filipino consumers were purchasing. RJ, a freelance web developer, decided to create their own website called Sulit.ph where people can sell second-hand products and goods. Programming the site himself, he constantly evaluated the site, keeping features that visitors liked and eliminating those they didn’t. Both of them eventually devoted themselves to managing the website full-time, working from RJ’s parents’ garage. A little later, their team of two grew to a team of five and began gaining popularity on the internet. Sulit.ph soon expanded to become a platform for people to buy and sell products like clothes, accessories, furniture, appliances, and even condos and cars. In 2014, the company announced that Sulit.Ph was going to be rebranded as OLX Philippines, under a parent company with home bases in New York City and Argentina. According to them, transitioning from Sulit.Ph to OLX.Ph is part of their vision to help every Filipino have a global mindset when it comes to online selling. It now has over 8 million monthly users, generating traffic of 481 million monthly page views. From a capital of Php 2,400, they are now a billion peso-earning company. Like other entrepreneurs, Bong and Cholly started their career in the corporate world. But as their family was growing, they decided to diversify their savings and venture into franchising. After acquiring enough operational knowledge from their franchising stint, in 2009, they opened their first business: Sweet Corner. From a single stall, Sweet Corner grew to 89 outlets nationwide, including one in Melbourne, Australia. Years later, they saw an opportunity to adapt the Japanese favorite, takoyaki for the Filipino market. 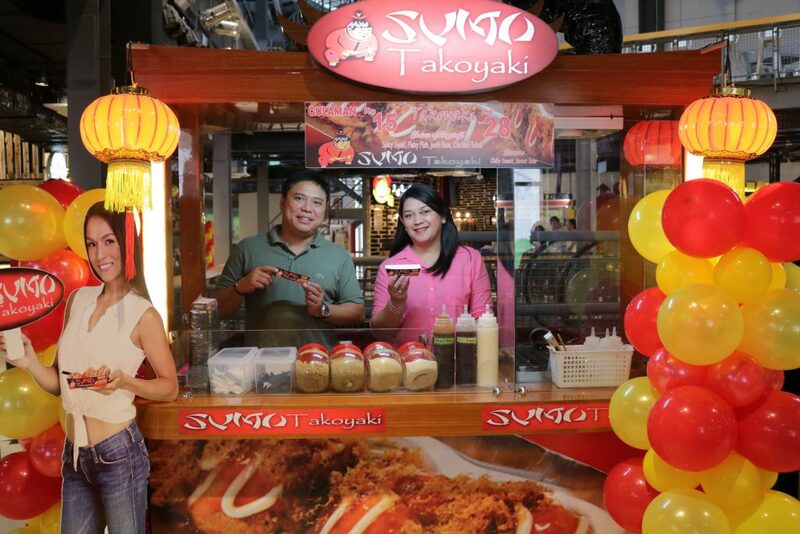 Their brand, Sumo Takoyaki, caters to those who don’t like the fishy after-taste of takoyaki. Their ingredients are all from the Philippines, which also sets them apart from other brands. Toppings are made of pork and chicken flakes, while the fillings are made of vegetables such as carrots and cabbages. Cholly also spearheaded creating special sauces which captured their patrons’ taste buds. Now, Sweet Corner and Sumo Takoyaki are both continuing to expand their presence through franchise requests. There are those who believe that mixing business and pleasure is a major no-no, but these couples show that anything is possible if you trust each other and stay true to your vision—hard work, perseverance, and passion will bear double the fruit.